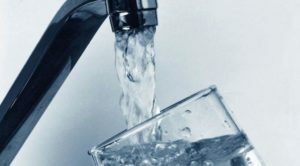 The St. Mary’s County Health Department (SMCHD) urges residents to use bottled water or an alternative safe source until disinfection and follow-up testing is complete. If residents do not have access to bottled water or an alternative source, their well water should be boiled for 3-5 minutes in a clean container before use. “People who obtain their water from an individual well should disinfect the well and distribution system if floodwaters reached and entered the well casing. In order to safeguard public health and personal well being, it is best to use a safe source until disinfection is complete and testing shows the water to be safe,” said Daryl Calvano, Environmental Health Services Director at SMCHD. Please contact SMCHD’s Environmental Health Services division at (301) 475-4321 with questions on water testing and well safety. This entry was posted on September 12, 2018 at 7:31 am and is filed under All News, Anne Arundel News, Calvert News, Charles News, Community, County, More News, Prince George's News, St. Mary's News, z 600X120 Top Ad Bottom, z 600X120 Top Ad Top. You can follow any responses to this entry through the RSS 2.0 feed.